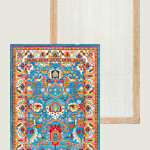 High Quality Craftsmanship at Affordable Prices! KITCHEN - BATH - COUNTERTOPS Also Specializing In: Custom Closets and Built-In Furniture Remodeling and Custom Trim Work - Fine Woodworking Bars - Mantels - Bookcases Gun Cabinets - Curio - Entertainment & Computer Centers Unique Furniture Design and More.... Full line of Cabinet Hardware, Parts, and Accessories: Call or email us for more information and prices. Cutting-Edge Computer Design Software COMMERCIAL OR RESIDENTIAL FREE ESTIMATES LIMITED LIFETIME WARRANTY! 3287 Highway 515 E. Ste-B BLAIRSVILLE, GEORGIA 30512 706-835-2112 Fully Insured! Don't be misled by the theory that custom cabinets cost twice as much as factory ready made cabinets! We design and build what YOU want! Our cabinets are proudly built in our shop and personally delivered to you carefully wrapped in blankets like fine furniture, not pulled off a shelf and recklessly stuffed into cardboard boxes. Stop by for a free consultation and quote before you buy factory ready made cabinets and compare our very competitive prices! North Georgia Custom Stain Works provides high quality transformations without going through the extra time, cost and disruption involved with tearing out and replacing your existing kitchen cabinets. If you like the style of your existing kitchen cabinets but don’t like the color or finish, our cabinet painting and refinishing services are your best and most affordable option. We can color match any selection and refinish your kitchen cabinets by spraying them with a durable and high quality cabinet grade lacquer. Our cabinet painting process is thorough and we use the best products and materials to ensure the longevity of your cabinet finish. 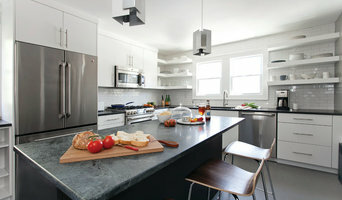 We also offer kitchen cabinet refacing options. If you like the layout of your kitchen but your cabinets look out dated, kitchen refacing is your solution. North Georgia Custom Stain Works offers custom-built cabinet doors and drawer fronts that can be finished in any color and installed onto your existing box frames with enclosed hidden hinges and new handles. During the cabinet refacing process, Stain Works can also supply and install new countertops, crown moulding, tile backsplash, and additional cabinets. Appointments are available at your convenience with professional, knowledgeable and experienced staff. From our detailed written estimate to the final inspection, we make every effort to ensure your total satisfaction. Kitchen renovations are our passion. Contact us today to get started on your refacing or refinishing job! Remodeling a home in Atlanta? Find an UltraCraft dealer near you! *Authorized Mid-Continent Cabinetry Dealer* Bella Cuccina is a family owned and operated business with over 15 years of experience in the kitchen and flooring industry. Our experienced designers will use their skills and knowledge to create a design that will fit your taste, needs and lifestyle while our superior craftsman will create a product that will be beautiful and bring value to your home. We are here to help you every step of the way from the design, to product selection, to installation. The kitchen is the gathering place, where families come together and create everlasting memories, whether baking cookies with the grandchildren for the first time or preparing a Thanksgiving feast. We at Bella Cuccina are proud to be a big part of that by creating kitchens that are beautiful, functional and have all the upgrades and accessories that our clients desire and their families can enjoy for years to come. Whether the desired style is Traditional, Classic, Contemporary, Modern or just simply unique, we create kitchens that fit our clients' lifestyle and budget, and surpass their expectations. At Bella Cuccina we offer a large variety of high quality products and services for residential and commercial spaces. Our products range from RTA to full custom cabinets; laminate, pre-finished installation and hardwood floors; as well as RTS to full custom reclaimed barn wood doors to fit every style and budget. We design, we remove, we deliver, we install and all you have to do is enjoy. All of our clients will receive the same commitment, respect, and high quality products regardless of their budget. If you are looking for an honest company that will exceed your expectations, than Bella Cuccina is your company. Chattahoochee Cabinets was established Duluth, Georgia in 1984. We are a family run business who design and build custom cabinetry as well as sell semi-custom cabinets by companies like Wolf, Truewood and Legacy. We use the finest equipment and quality materials to custom build your Kitchen, Vanity, Closet, and Entertainment Center. We also manufacture and sell Outdoor Kitchen Cabinets, Outdoor Cooking/Grilling Areas, and Garage Storage that is made with 3/4 solid plastic boatboard which comes in a variety of colors. These cabinets will to stand up to the harsh elements that Mother Nature can send your way. Our custom cabinets are computer designed and CNC machine cut out. We provide a number of finishes including, custom paints, stains, glazes and distressing to create the look you desire. Our installers are trained professionals, some of which have been with us for 18 years. We work with qualified subcontractors who are licensed and dependable. We are a customer based company who pride ourselves in making sure our customers are satisfied. With 30 years in the business of designing, creating and installing fine custom cabinetry in Atlanta and Northern Georgia and surrounding area, Campbell Cabinetry is the best choice for high end custom residential cabinets and hand built furniture. Campbell Cabinetry started as a cabinet shop specializing in custom built kitchens. Our natural ability to understand and interact directly with the homeowner combined with our ability to work well with builders and designers plus our passion of creating unique cabinet designs has transformed Campbell Cabinetry into a full service, premium, custom cabinet company. Call Campbell Cabinetry for a design consultation on your project, we take it from concept to completion! Marilynn Enterprise, Inc. is committed to offering high-quality products and service that meets your needs and expectations. We have three generations of experience in wood working and quality craftsmanship. It first started over a century ago with wood carving and furniture making in Europe and has continued to this day in our work. We continue to uphold the same standard of quality from the past while also making use of the latest manufacturing technology and quality materials. We’re always searching for new ideas in cabinet design and manufacturing techniques in an effort to keep up with the latest trends and also to continue providing the best service possible. We are a custom cabinet shop specializing in kitchen, bath & custom built-in cabinets. We build & install custom cabinets for the kitchen, bathroom, fireplace built-ins, window seats, laundry room cabinets & mud room cabinets. 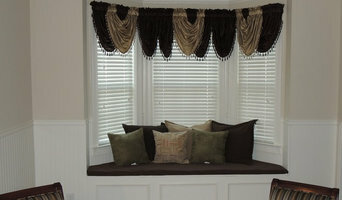 We build and finish all of our cabinets in house so there is no limit to sizes or colors. No cabinet project too small. Beauti-Faux Finishes specializes in Kitchen and Bath Cabinetry, makeovers, and custom decorative pairing. JMV inc has over 12 years of experience in kitchen and bath remodeling. 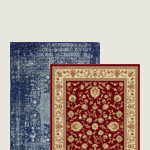 We provide high quality and outstanding customer satisfaction. We offer kitchen and bath cabinetry, stone/wood/laminate countertops and more! Our main priority is customer satisfaction and peace of mind. Additional services include: designing layouts, 3D renderings, handyman services, demo and disposal. 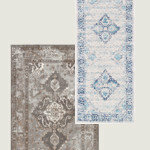 We only offer products from vendors that are able to prove that they care about quality, availability and service. You will see that some of our competitors offer 30-40 different finish/door options from 5-10 different vendors. We have decided to only work with the most efficient and reliable sources. Because of this, we are able to deliver one of the highest value propositions available. We are proud of the high quality products we provide and the extensive services that support them. Ryan's Daughter, based in Atlanta, Georgia was established in 2000 by Connie Montgomery, offering clients a full service paint company including designer finishes and specializing in custom cabinet finishes, both paint and stain. Her background in fine art, Faux Classes and study of color combinations using both stain and paint finishes has garnered her clients throughout the Southeast ranging from residential, new home high-end construction to light commercial. As the company has grown and expanded, she and her crew have traveled to North and South Carolina, Florida, Alabama and recently in the northeast to Connecticut and Vermont. Ryan's Daughter is a full service paint company. Our crew is fully insured, professional and reliable, providing our clients with 37 years of combined painting experience. Painting services include interior, exterior and power washing for homeowners, new home construction and light commercial. All consultations and estimates are free. During your consultation, we will discuss colors, finishes, glazing techniques. 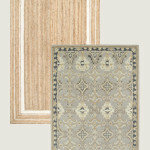 I will provide a portfolio and sample boards to help find the right finish for you. Remodeling in Atlanta? Find an Urban Effects Dealer Near You! Welcome to Imperial Cabinet Company, specializing in custom cabinets and custom closets. We have been in business since 1967. With over 40 years of experience, we can help build your dream kitchen . We specialize all over from custom kitchen cabinets, bath vanities, wine bars, wine cellars, book cases, entertainment centers, and closets. We offer cabinets made from a variety of wood species. We have the finest craftsmen and our employees go above and beyond to provide their best. Our customer service is outstanding. Cabinetry professionals design, construct, refinish and repair banks of conventional cabinets, but they also create customized storage and shelving for home offices, playrooms, bedrooms, media rooms and other spaces. 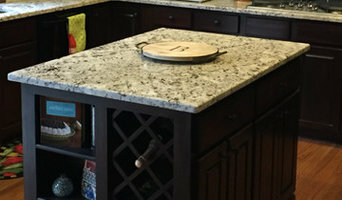 They’re in the know about Georgia design trends and different cabinet styles, as well as the latest in special inserts and other options that boost functionality. Cabinetry professionals also can craft furniture to your specifications, such as a corner cabinet for a kitchen or a dining room hutch. 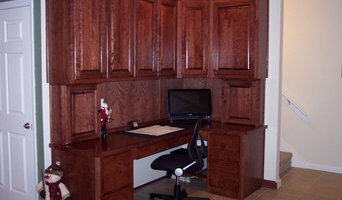 In addition, Alpharetta, GA cabinetry pros can help you give worn or dated cabinets a makeover. They can replace doors; add glass inserts, decorative moldings and other details; or give cabinetry a new coat of paint or specialty finish. Your cabinetry professional might work closely with a Georgia kitchen designer, builder, remodeling contractor or interior designer. Here are some related professionals and vendors to complement the work of cabinets & cabinetry: Kitchen & Bath Designers, Kitchen & Bath Remodelers, Interior Designers & Decorators, Closet Designers and Professional Organizers, Woodworkers & Carpenters. Find a cabinetry professional on Houzz. 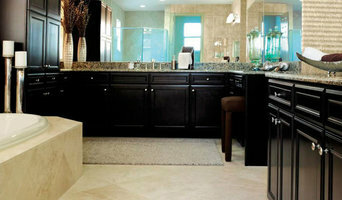 Narrow your search in the Professionals section of the website to Alpharetta, GA cabinets and cabinetry. You may also look through Georgia photos to find examples of cabinets that you like, then contact the cabinetry professional who worked on them.